Come and kick back at Courtyard New York Manhattan/Upper East Side, a quiet retreat along the East River. Unique among hotels in Manhattan, we are in an upscale residential neighborhood yet are convenient to all major NYC attractions. Just a short stroll or ride away, discover the best of the city at top destinations including Central Park, Yankee Stadium, Madison Avenue and The Metropolitan Museum of Art. Retreat to modern accommodations with free Wi-Fi, flexible work areas and well-appointed guest rooms. Feel at home with luxurious bedding, a mini-refrigerator and flat-panel TV with premium movie and cable channels. During downtime, stop by our state-of-the-art fitness center with free weights and cardio equipment. If you're traveling with a group, plan meetings and intimate celebrations in one of our three on-site event spaces. Come discover how we incorporate the charm of the Upper East Side into a versatile place to relax. 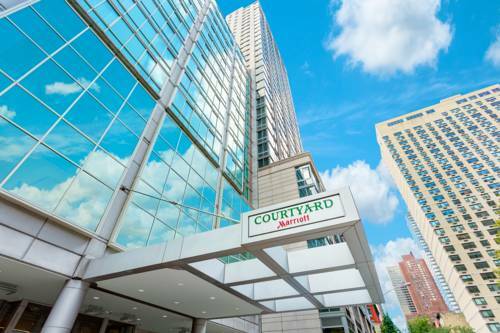 Make a reservation at Courtyard New York Manhattan/Upper East Side today.